As a counselor, Sophia Barrett is trained to help people cope with their burdens. But when she meets a new patient whose troubles mirror her own, she realizes she hasn't dealt with the pain of her recent past. After making a snap decision to get away for the summer, Sophia moves overseas to an apartment above a charming bookstore in Cornwall, England. She is hopeful she will find peace there surrounded by her favorite thing: great literature. Bookstore owner Ginny Rose is desperate to save her business without asking for help from a husband who's decided to take a break from their marriage. Ginny never imagined she'd be solely responsible for keeping afloat her husband's dream, but the unexpected friendship with her new renter has her feeling more optimistic. Between the two of them--and Ginny's brother-in-law, William--the bookstore might stand a chance. Then Sophia finds a notebook in the bookstore that contains journal entries from Emily Fairfax, a governess who lived in Cornwall more than 150 years ago. Sophia learns that Emily harbored a secret passion for becoming an authoress--as well as a deep love for her childhood friend, Edward, whose station she dared not dream to touch. 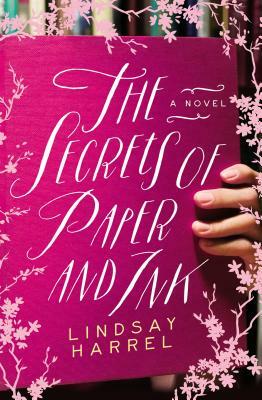 Eager to know more of Emily's story, Sophia goes on a quest--dragging Ginny and William with her--to discover the heart of the woman behind the beautiful entries. Soon Ginny's need to save the bookstore becomes more than a way to save her marriage, and Sophia finds new purpose of her own. Together they find that sometimes both heartache and hope can reach across the centuries.